Just like everyone else, my social media feed was flooded with solar eclipse images yesterday. 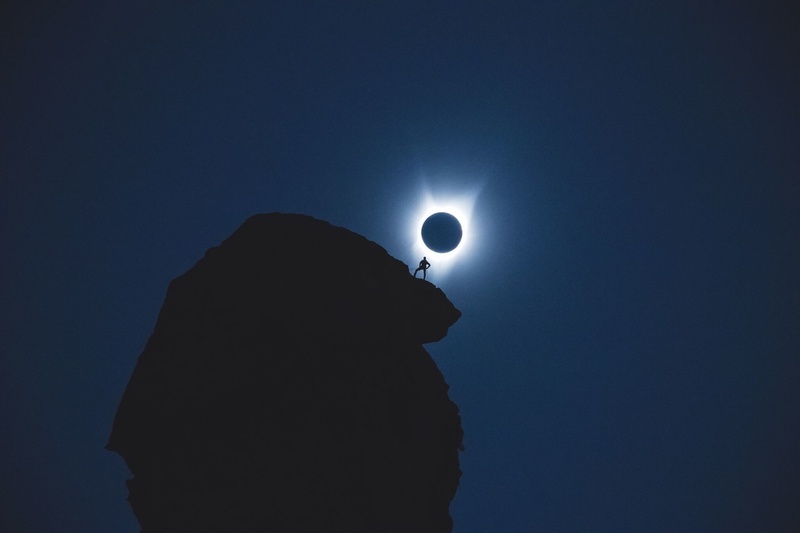 While there were a number of truly amazing shots and at least one potentially politically controversial one, my hands-down favorite was the remarkable photograph of a silhouetted climber at the moment of totality, captured by professional Outdoor and Commercial Photographer Andrew Studer. 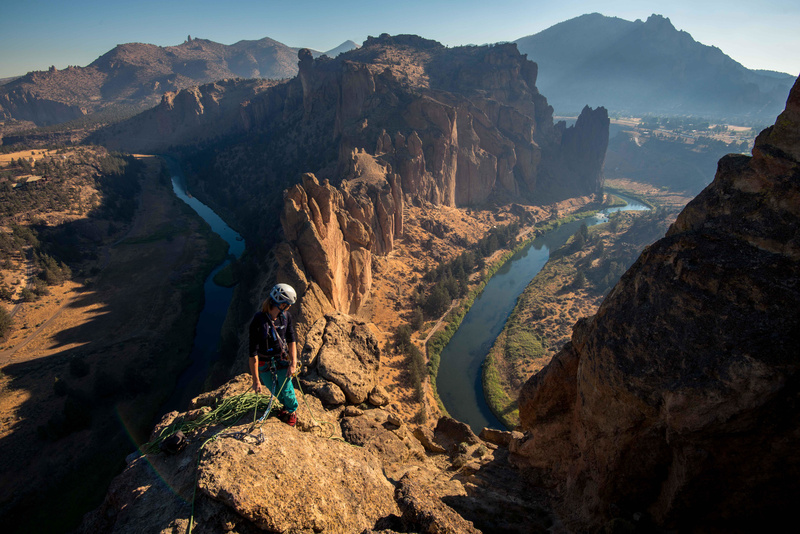 I spoke with Studer and Ted Hesser, an adventure photographer who envisioned and planned the shot, to better understand how they pulled it off. Studer worked with Hesser, Hesser's girlfriend Martina Tibell, and climber Tommy Smith in planning and setting up the shot. They chose Monkey Face, a 350-foot tower at Smith Rock State Park in Oregon because of its ideal alignment with the eclipse. Studer said, "I really wanted to have a strong foreground for the image. Smith Rock was one of the only places that you can intersect totality with a foreground. 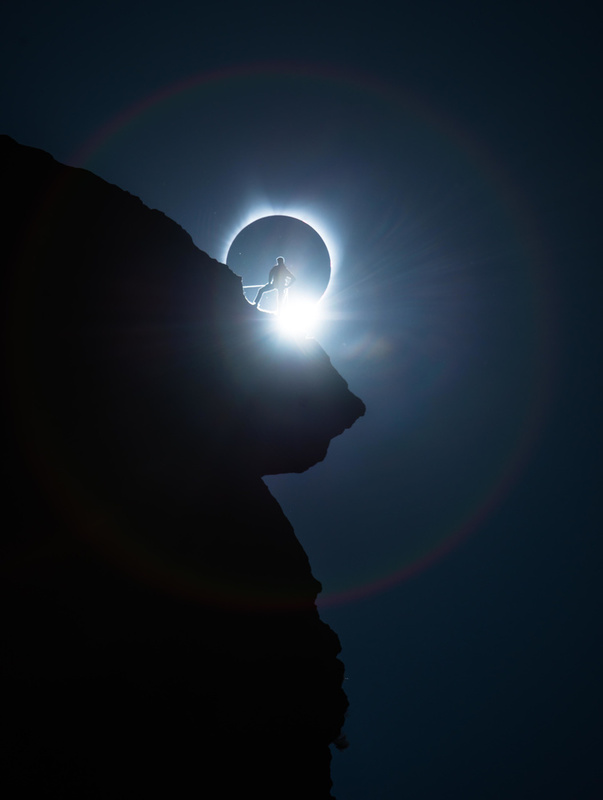 Monkey Face is an iconic place for rock climbers and I wanted to capture a cool shot contrasting a climber with the rings of totality." Hesser and Tibell, both avid rock climbers, spent a week exploring the park and climbing various rock formations looking for the right angle. Hesser said, "I pieced together that the eclipse would crest Monkey Face. It's all geometry dependent and the sun was rising either too far to the right or too far to the left at every other point we climbed. We finally centered on Monkey Face because the aspects all lined up. It looked like the timing was going to work out or at least be really close." Ted Hesser and Martina Tibell Scouting Locations. Image by Ted Hesser. The team arrived at the location at 9 a.m. the day before, committed to getting a climber on top. Hesser had to first pre-visualize exactly where Smith needed to be at the moment of totality. He said, "It's very specific geometrically. You can use apps but they're just not that good for this. They jitter, and that jitter can be 30 feet which isn't accurate enough. You couldn't nail it with the apps." Looking at various groups scattered all around the hillside, Hesser noticed that the top was open for his climber. It appeared that the sun would perfectly crest the top right corner of the structure at 10:19 a.m. (right before totality) so that's what the team decided on. Hesser said, "There were multiple other teams at the site which proved challenging as there is only one reasonable way to the top and there were a lot of people trying to get up and down. Martina and Tommy started climbing at 10:30 a.m. and didn't get to the top until almost 6 p.m. 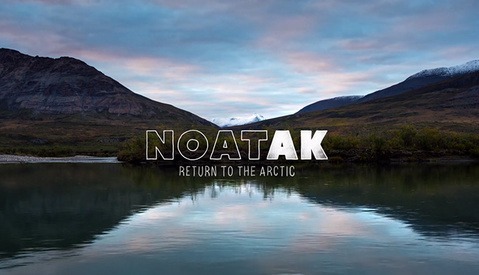 It was scorching hot and they ran out of water." Once at the top, they focused on positioning Smith and called it a day, ready and eager for what was to come. The team arrived at the park the morning of the eclipse, anxious to start the climb up Monkey Face. One problem: when they arrived at 3:30 a.m., the park was closed. They waited until the park finally opened at 5:30 a.m. and made a dash to the hill. Tibell and Smith started their ascent at 7 a.m. and arrived at the top just as the eclipse was starting. Hesser was on the radio with Smith when the moment of totality finally arrived to ensure his body positioning was perfect. 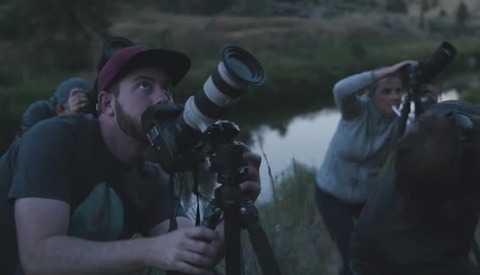 Studer used a Canon 1DX Mark II with a Sigma 150-600mm lens for the shoot (his focal length for the main shot was 512mm). He used a fast shutter speed of 1/4000 of a second to eliminate the possibility of introducing any shake into the image — a side effect of using such a long focal length. His preference was to minimize some of the flaring so he kept the aperture low, settling on f/6.3. He was able to keep his ISO at 500 for a clean, noise-free image.He decided to slightly overexpose the shot to get more detail in the shadows. 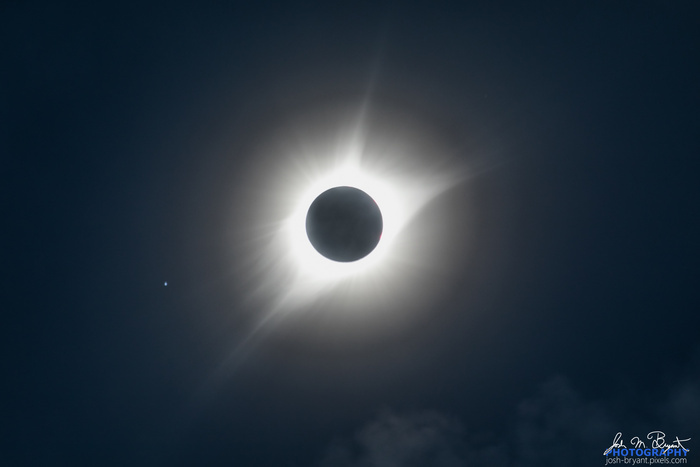 Studer had to have his settings dialed in and work fast as totality lasted 1 minute 23 seconds. Postproduction work was surprisingly minimal. Studer said, "I edited this in three or four minutes and posted it. I dropped the highlights a little in post since I had overexposed. I dropped the saturation and temperature (white balance) to give it a bluer look. I like to go for cooler, bluer tones in my work. Last, I sharpened it slightly. The final image is very true to what I saw and captured." I'm excited to see what Studer and Hesser will come up with for the next North American total eclipse in 2024. It's never too early to start planning. You can view more of Studer's work on his website or Instagram. You can view more of Hesser's work on his website or Instagram. Only the professional photographers who understand compression caused by a zoom lens knew this was real from the beginning. I'm shocked that so many people criticized it. It didn't take time to before I was immediately jealous I didn't get to go to the path of totality. This is like the end of a perfect movie. The production and planning of this was the impressive part. Every part played well by the players. I personally understand the reason for the multiple photographers involved but I think that only the guy that came up with the plan should have posted. The others photographers should have stepped back and let the glory go to Andrew Studer. Even if some of the pictures might be slightly more popular, it wouldn't have been possible without his vision. Definitely a great shot and terrific execution! I personally enjoyed Ted Hesser and Michael Shainblums images just as much as Andrews. My understanding from him was that the "vision" was a complete team effort between all involved and they worked really well together to achieve the final result. I think that misses the difficulty involved in the whole process of planning and executing this shot. The gap between amateur and professional photographer is much more than just camera settings and composition. Having the creative vision in mind and being able to execute on that vision is hard! I agree, they are nice photos! Thanks for taking the time to read and comment, I appreciate it! The gentleman setup next to me in Saint Clair Missouri told me "I know there's going to be thousands of photos that look just like mine, but the ones I take will be mine, which makes them special to me and my friends/family." 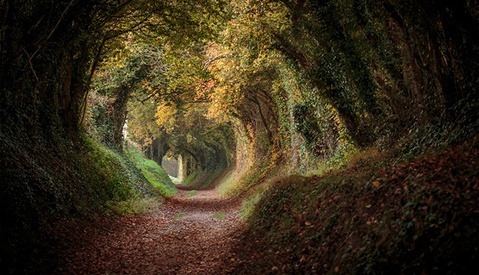 It's natural to want to share something like this, and while they may have all produced a similar image, each belongs to them. Thanks for the comment. I agree, terrific shots taken by all! Was the shot taken without a filter to block out the sun. Did he risk his sensor / eyesight taking this? It seems just a fast shutter speed and ISO 500 used. I presume he was taking the photos remotely and not by looking through the lens. Beautiful photos (I didn't like the trump one yesterday. I thought it cheapened the spectacle. It is perfectly safe to look during totality. No filter needed. I took my solar filter off for this one. 400mm f/8 1/4 sec ISO 400. Only need the glasses and filter during the partial phase. No filter necessary. I believe Andrew used Live View for his shot. I agree, amazing photos! I spent a week looking for something similar and failed, I can attest how much work goes into math, gasoline, geometry and brain racking that goes into finding a spot. Glad this guy put it together. 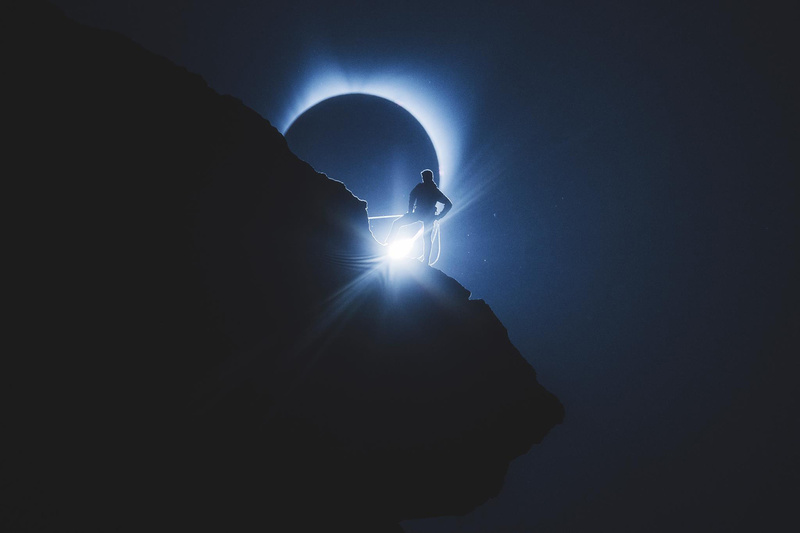 Did you end up with any good eclipse shots? Would love to see them if you want to post in the comments. I got some ok shots, however, they don't measure up to so many excellent ones I've seen posted I haven't done anything with them yet. 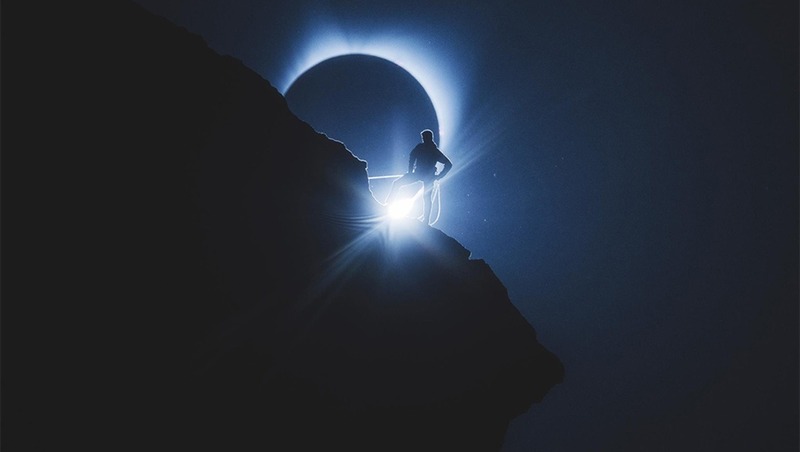 The first time I saw it I shared it saying it was the best eclipse shot ever, and I still think it is. Excellent job by all involved. Yup, the hard work planning and setting this up really paid off. Magical moment! Can't say I've seen a better eclipse shot ... ever. I'm still blown away looking at it!